aerografo o no, è stupendo!!! Fantastic...if you belive is NOT a picture! Thank you for share! 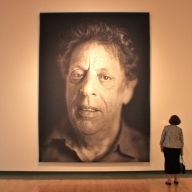 Philip Glass by Chuck Close by Kevin Dooley | Flickr - Fotosharing! 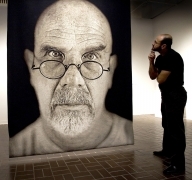 He DOES use airbrush...just found that out...isn't he amazing?